The importance of policies, laws, and regulations (referred to collectively below as “policy instances”) as instruments to support progress towards Universal Health Coverage (UHC) in low- and middle-income countries cannot be understated. However, there has been insufficient focus in the literature on the role of these instruments, leading to a lack of evidence as to what constitutes a supportive legal environment that can consistently provide a strong basis for UHC reform processes. 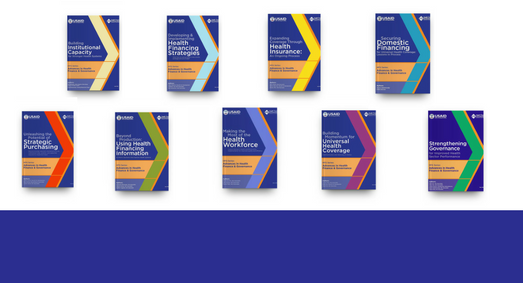 In this review, we explore how policies implemented in different country contexts have had an impact on their achievement of UHC goals. In order to better differentiate the effect of various policy instances on the achievement of UHC goals, we developed a typology for policy instances and then ascribed the different aspects of governance to the instances identified in the literature, based on how they were designed and implemented. Finally, we considered the success of each policy instance identified, in terms of achieving intended UHC-related outcomes. sector. Following this, policy instances that address human resources for health and supply chain management should be prioritized as they appear to have key strengthening effects on the provision of healthcare by increasing efficiency, equity, and quality. This review of the evidence to date of governments’ policy-making experience highlights the importance of effective policy design and implementation with a clear orientation towards better governance, and in particular increased responsiveness and accountability.